I vividly remember a wonderful morning of wildly abandoned finger painting in kindergarten. Katy Perry, my teacher, had wrapped me in some sort of plastic poncho, then given me a palette of gooey wet paints— red, yellow, blue— and turned me loose on a big blank sheet of white paper clipped to a wooden easel. There were no rules, just messy, uninhibited expression. As I listened to Fran Scully, a horticulturist at Ladew Topiary Gardens in Monkton, MD, present a workshop on container gardening, I felt like that little kid in front of the easel again. 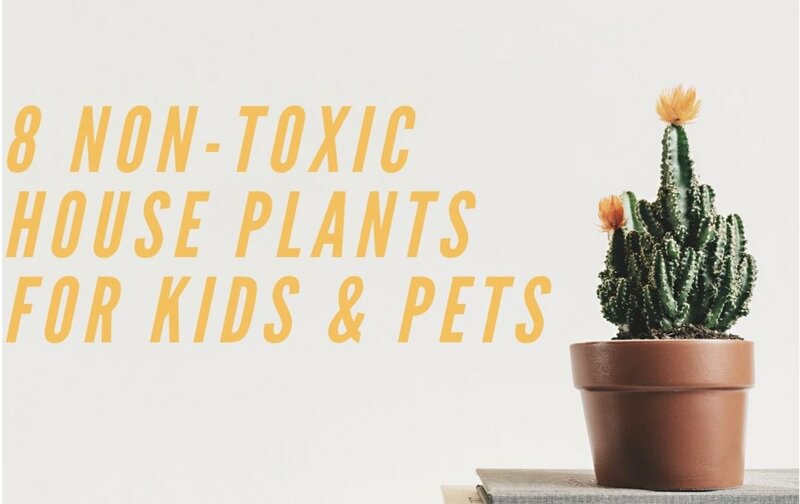 I wanted to experiment— to get my hands dirty and feel free through creating something; I wanted to try my hand at boldly mixing plants in containers. A few days later, after a series of rainstorms passed through our area, I did just that, following Scully's advice, which is basically, "Break the rules boldly! It will be beautiful." 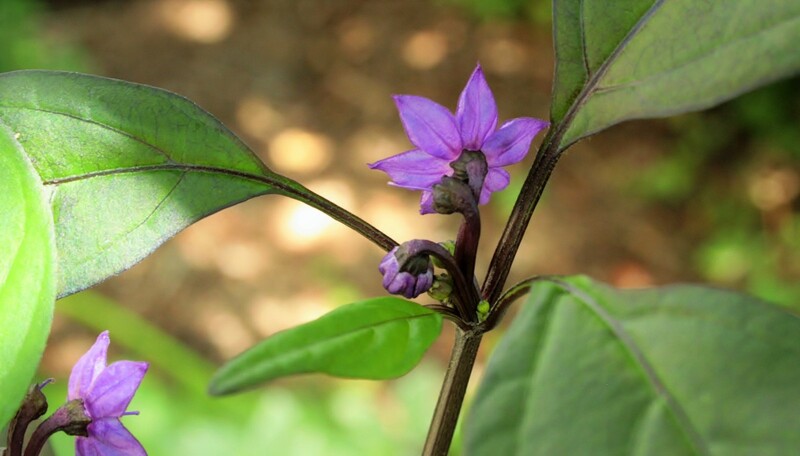 Scully presented her ideas about container gardening in a workshop at the 2016 Baltimore Herb Fest, which celebrated Capsicum (the pepper plant) as the herb of the year. That, no doubt, was the reason the workshop was entitled "Capsium— Turn Up the Heat in Your Containers." However, the use of Capsium in the presentation was incidental. What Scully's talk was really about was boldly breaking several sensible "rules" for creating mixed containers, and breaking them to wonderfully good effect. 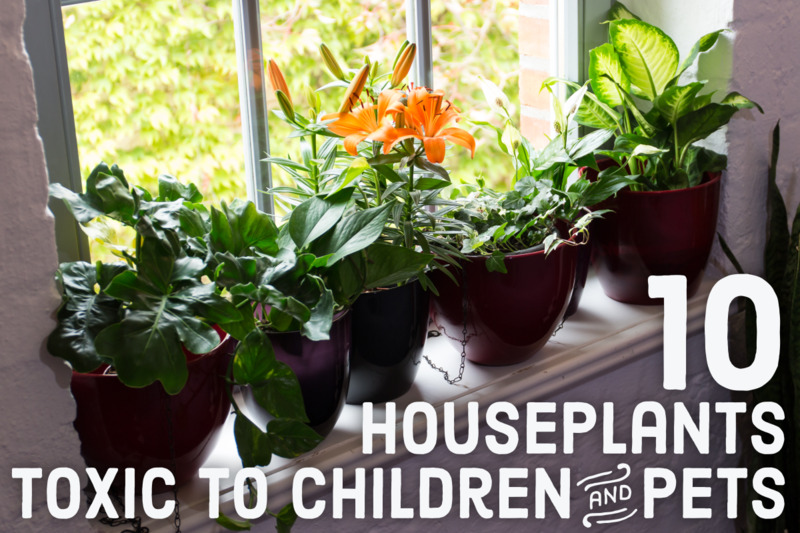 Fill pots with thrillers (tall plants that take the spotlight), fillers (bushing plants that fill in planter space around thrillers) and spillers (vining plants that drape over the sides of the pot). Place plants with the same soil, water and light requirements together. Scully recommends boldly breaking the rules. Fran Scully encourages gardeners to ignore those rules, instead, choosing plants they like, regardless of their compatibility. She claims plants in containers develop a "buddy" system, creating their own little microcosm where they all "get along" and help each other grow. 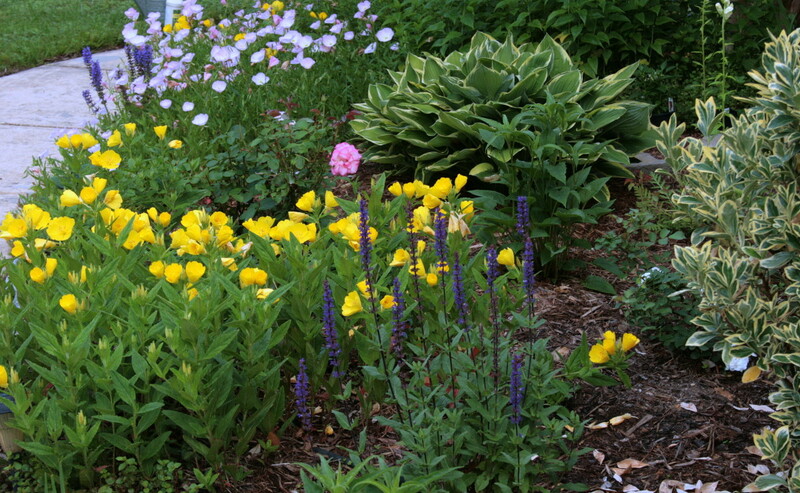 Sun-loving thrillers provide protection for shade-loving fillers; water-loving annuals will draw up the moisture native plants do not require; and so on. At the end of her presentation, Scully created a mixed container for the class. Bold choices, huh? And it was quite beautiful too. 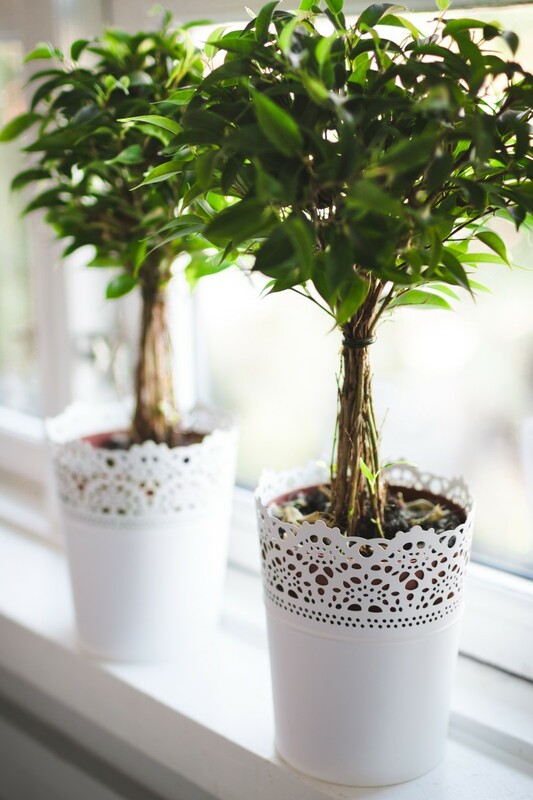 If plants are widely divergent in their requirements, she suggests they be planted in separate pots within the larger pot. For instance, sedums in a container of plants that grow best in rich, moist soil could be planted in a separate container filled with potting soil cut with sand inside the larger pot. Rather than spend lots of money trying out Scully's ideas, I opted to use pots I already had, both of them cracked (for better drainage, right?). And with the exception of a few herbs I bought at the Baltimore Herb Fest where Scully's workshop occurred, I used plants we already had in our beds. I chose them for their contrasting textures and growing habits, as well as how striking I thought they would be in contrast to each other and the pot itself. Scully advises gardeners not to reject a plant for a container just because it has different growing requirements than the rest. For the first pot . 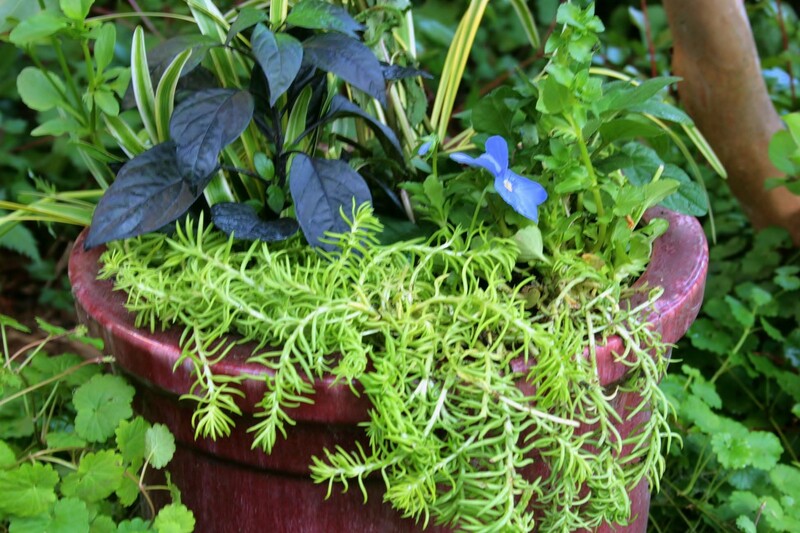 . .
For the first container, a wine-colored glazed cylindrical pot, I chose plants with chartreuse, purple and medium-green leaves. Their bloom colors? Purple, pink and, in the case of the pepper, red and black seed pods. Sedum angelina, a chartreuse ground cover with a weird, dragon-like bloom. 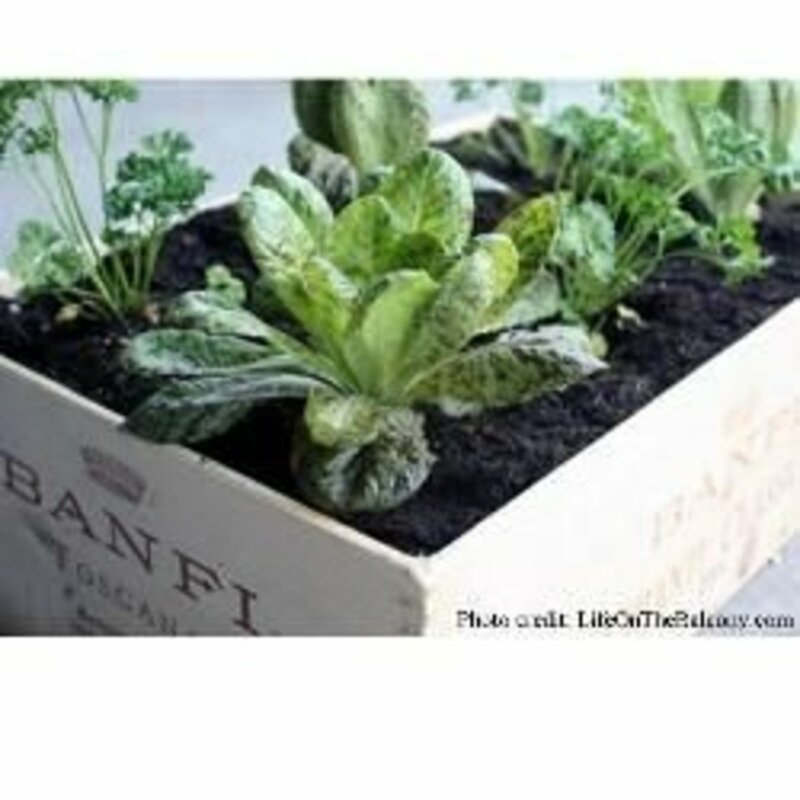 It grows best in dry to medium, well-drained soil in full sun. Liriope muscari ‘Variegata’ (lilyturf), a hardy striped ground cover that does well in dry shade or just about anywhere. It grows in spiky clumps, sending up purple spires in the fall. 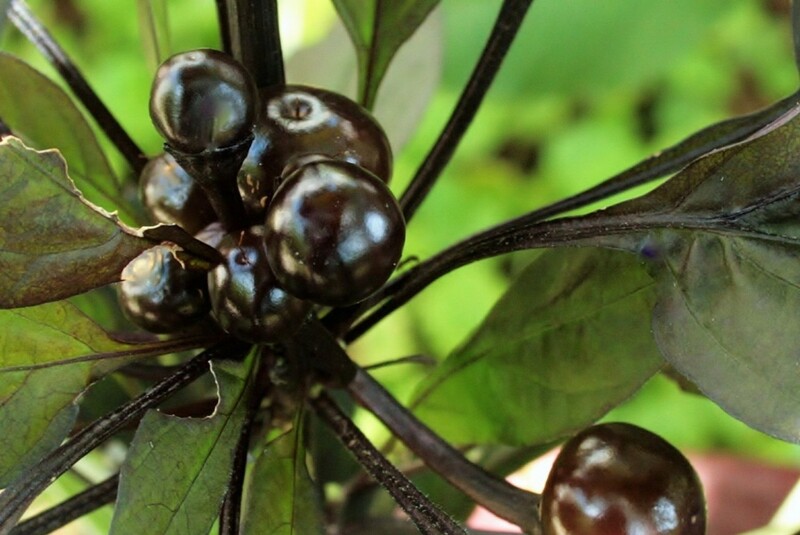 Capsicum annuum 'Black Pearl' (ornamental pepper), an annual vegetable with purple and green leaves. 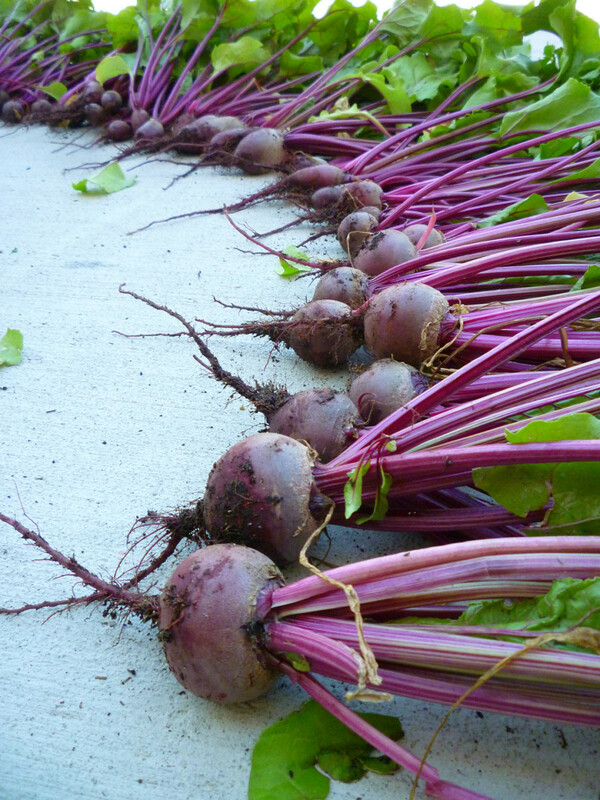 Likes full sun, medium water and produces showy red and black fruit. Two overwintered purple pansies (Viola tricolor), both a little leggy from surviving in the shade of nearby plants in the flowerbed. Chelone obliqua (pink turtlehead), a tall thriller that likes wet feet and clay soil. It has deep pink blooms that attract butterflies. Prunella vulgaris (self-heal), a mounding perennial herb with medicinal properties. It sends up purple flower heads about a foot tall that attract bees and butterflies. Because turtlehead likes wet feet, I planted it in a separate plastic pot so that I could keep it wetter than the rest. 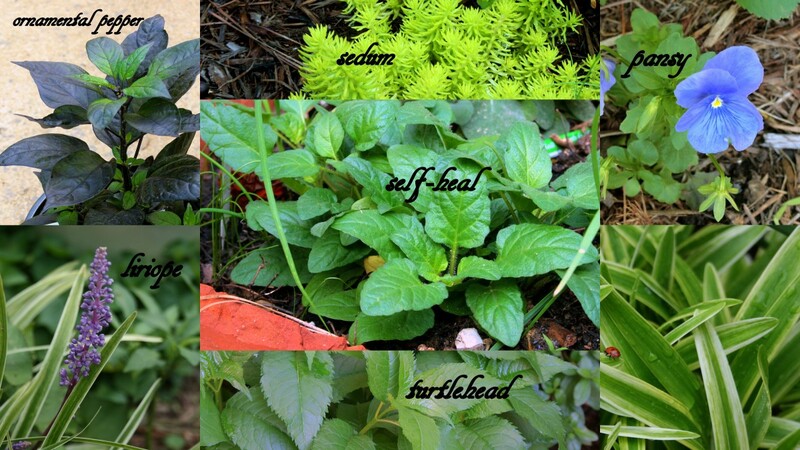 Select diverse leaf textures: smooth, hairy, pebbled, etc. 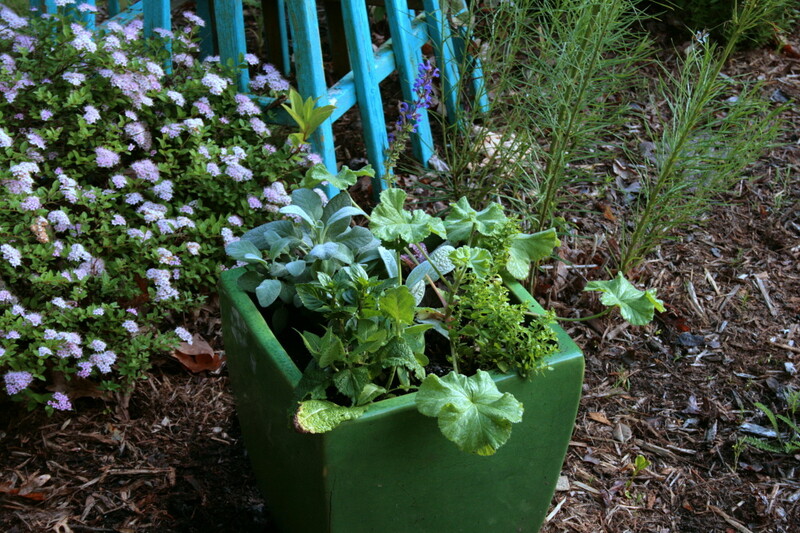 Mix plants with different growing requirements in the same pot. 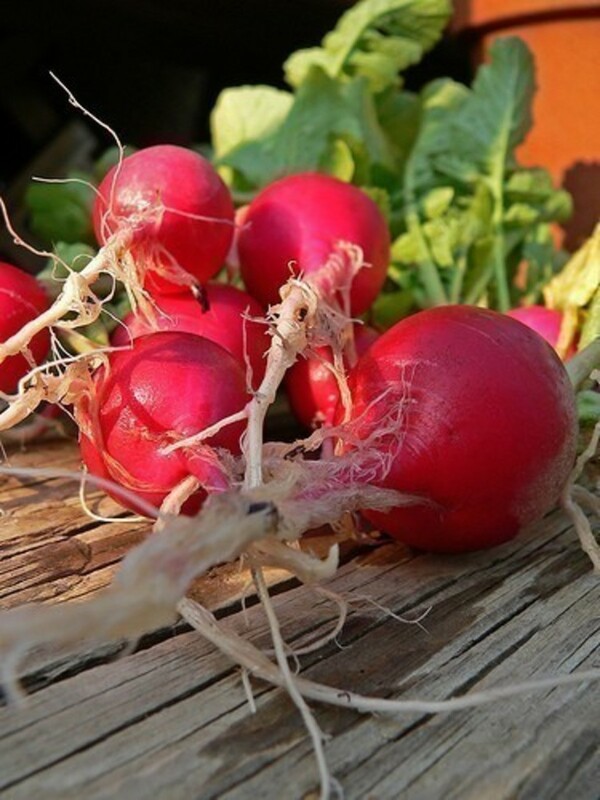 Pick plants with different growing habits: upright, creeping, bushing. 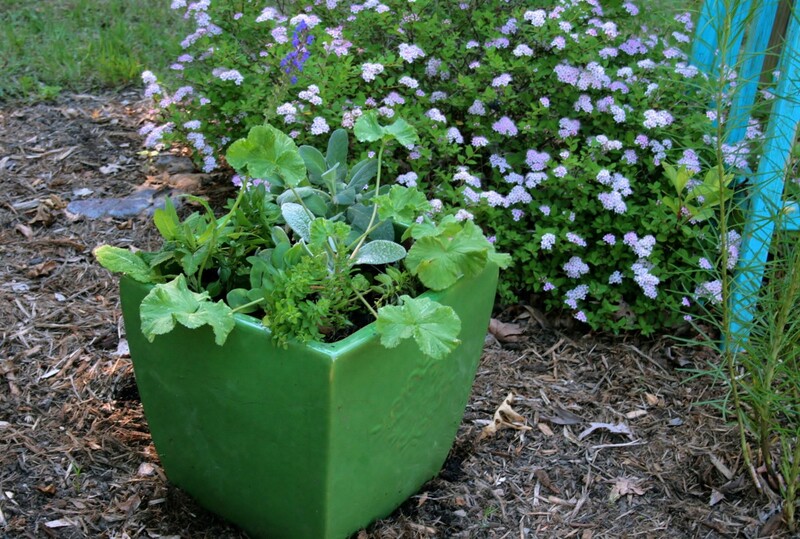 Place plants with different water requirements in their own pots with the larger pot. When thinking about color, think leaves as well as blooms. 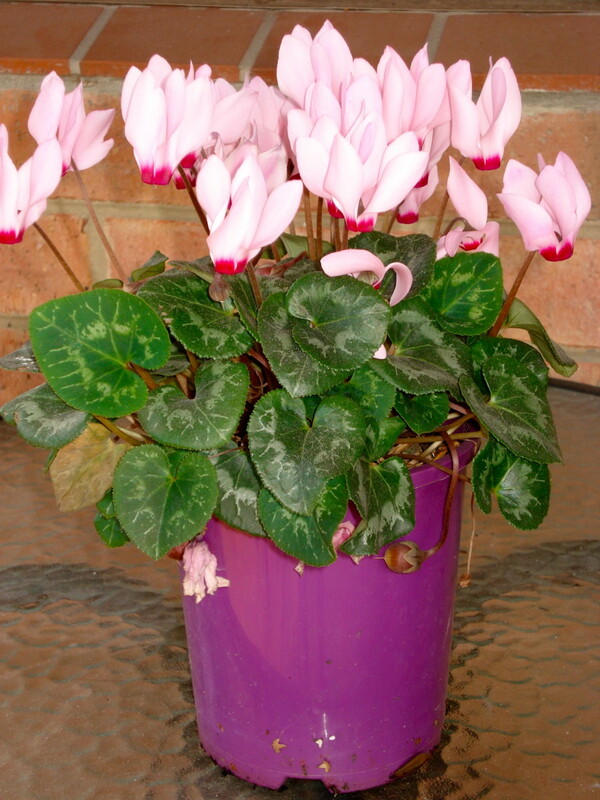 Place plants with different soil requirements in their own pots within the larger pot. Don't be afraid to go bold with the color of the pot itself. For the second pot . . .
For the second pot— a deep, square, ceramic one glazed bright green— I chose plants from our yard that are very flexible regarding their growing requirements but very different visually. Some are also aromatic. Stachys byzantina (lambs ear), a silvery perennial with thick, woolly leaves. It sends up thick flower stalks about a foot and a half tall with bright purple flowers. Sedum 'Autumn Joy' (live forever) is also silvery. It develops thick, close stalks topped with showy, deep-pink flower heads. Thymus praecox (creeping thyme), a drought tolerant green ground cover that sends up a blanket of deep-pink blossoms a few inches high in late summer. Its scent is not as strong as that of culinary thyme, but it's still lovely. Ajuga reptans (bugleweed), also a ground cover. 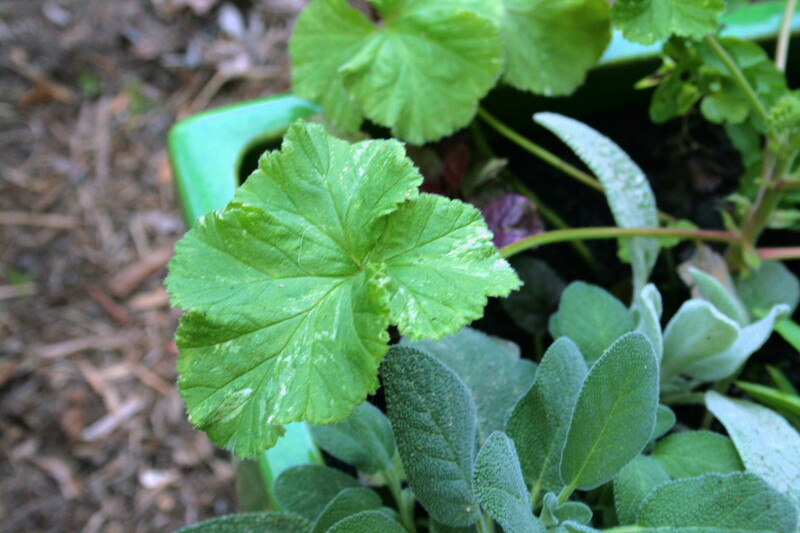 Its leaves are purple and green, and it sends up short stalks of bright purple flowers. Ours tends to bloom a lot, sometimes even in the winter if there's a warm spell. 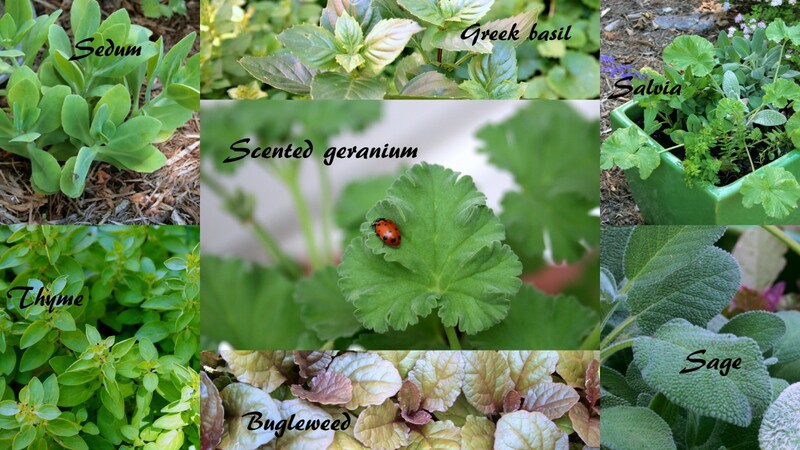 Then I added basil and a scented geranium, both of which I'd picked up at the herb festival. 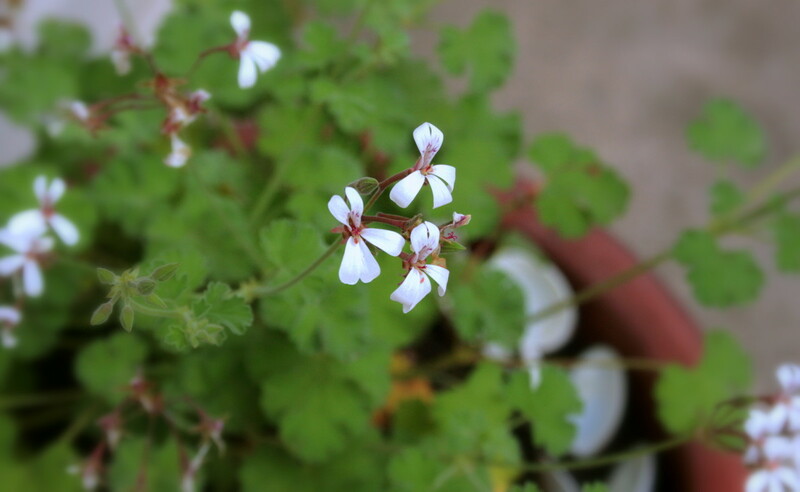 Pelargonium 'Snowflake' (scented geranium), a mounding geranium with curly, speckled leaves. 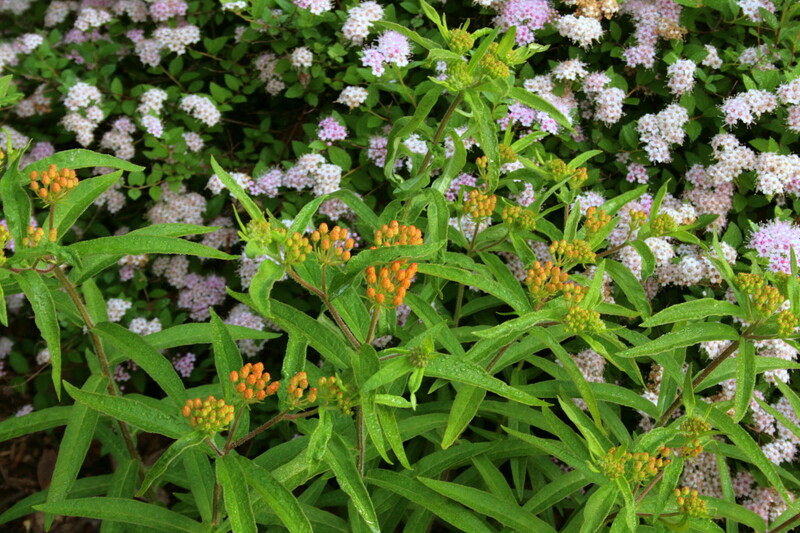 It produces delicate pink flowers that should nicely contrast with the thick flowers of the sedum and lambs ear. Ocimum basilicum 'Lesbos' (Greek columnar basil) can grow up to three feet, and I imagine near the end of the summer when I cut down the lambs ear stalks, the basil will join the sedum in giving the pot height. And I love the smell! Which radical strategy will you try? None. I'm sticking with traditional methods. Salvia officinalis (Common garden sage), which has a clean, salutary odor and rough, silvery leaves. Like the basil, it's edible. Purple salvia, which has sage-green leaves and purple spires about a foot tall. Because it was blooming, it immediately gave the pot a bit of height. My pots aren't as wildly bold and divergent at Fran Scully's, but they are different from what I have done in the past, and I had fun making them. They were also very inexpensive to make since, with the exception of the plants from Herb Fest, which cost a total of $7, I used what I had on hand. I liked that and plan to try the Scully's "no rules" method again the next time I feel like finger painting in the garden. I had lots of fun trying these ideas out. 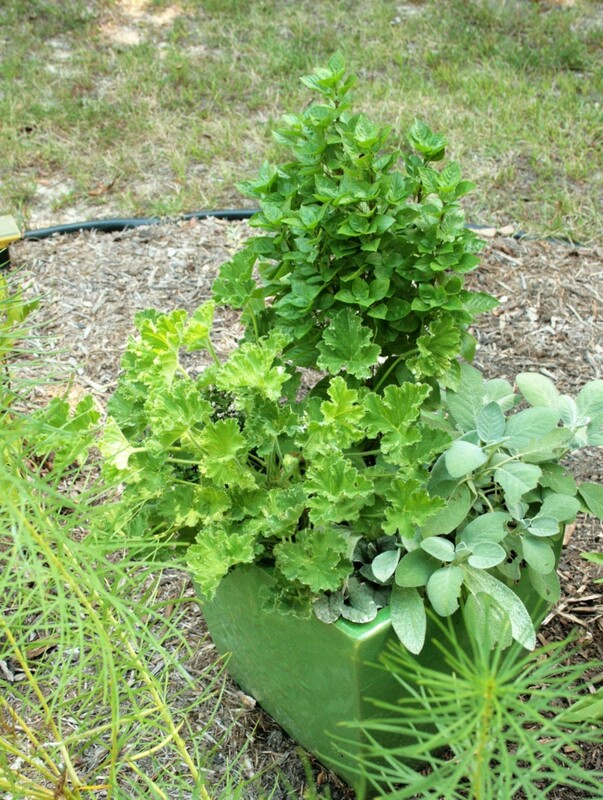 The columnar basil grew to be about three feet tall and sturdy. I used to love going to Ladew topiary gardens for concerts when I lived in Baltimore. Gee moonlake, I don't know. Skunks eat just about everything. I wonder if planting through wire mesh-- you know, cutting mesh to fit inside your pots, then small holes to plant your plants through-- would work. You would probably have to pin them down too. Or even some of those prickly devices you see in garden catalogs to deter cats. Good luck. Sounds like your skunks have gotten into a bad habit. No grubs. He's digging plants up and pulling roots off. I guess it's the roots he's after. I enjoy doing plants in containers. Do you have any idea how to keep a skunk from digging up my container gardens? My containers are looking awful because he won't stay out of them. Faith Reaper, how did I miss your comment? Thank you for it! I appreciate your free-spirited view. I see a lot of these mixed container planting arraignments at the home improvement stores by my house. I like the way they mix it up and keep design interesting. 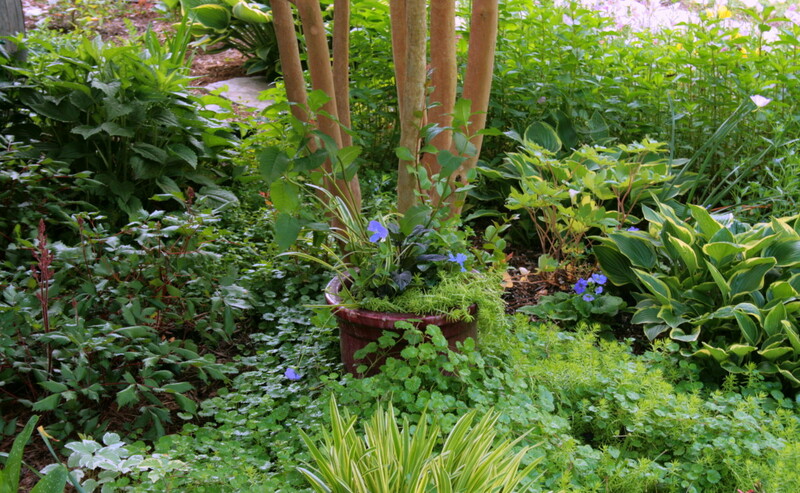 It sure beats having the same old single plant per pot ideas dominating the landscape. I love these radical ideas you have presented here! I like not following the rules in art and gardening too, and just doing whatever my heart wants to go with at the moment. I enjoyed reading this hub and your flower picks are wonderful. Sounds like an adventure I would like to attempt. Thanks for the motivation and very good suggestions. As a novice gardener, I do so enjoy whatever help I can get. @KoffeeKlatch Gals-- Hope you get wild and have fun! @The Dirt Farmer I love this hub. I have always loved the mix up idea of several different plants in one pot. I will be trying your ideas and Scully's. I have to get busy picking plants. @devalym-- Appreciate your kind words! Thank you. I always adore HubPages Post ideas, every time they have unique topics for showing and it would be one of those posts that I've loved it. Thanks for sharing such a niche quality post. I always enjoy your Hubs and your ideas. 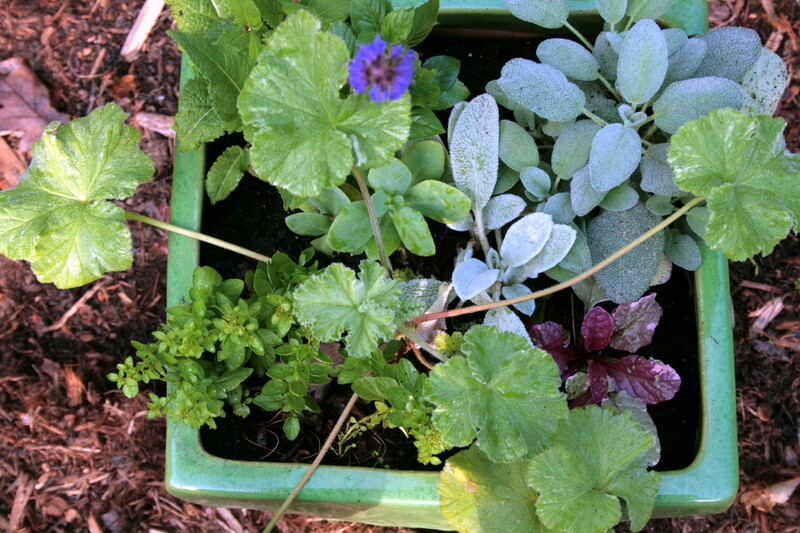 My only venture into container gardening is in my hanging herb garden with just a couple of flowers for color. I can keep all the herbs I need just a few feet from the kitchen and I don't have to bend over to pick what I need. Very interesting. It can be a bit confusing. There are so many differing opinions on gardening and farming....but thanks for sharing this one. Such a lovely Hub with some great planting ideas. You have inspired me to try something similar. Thanks for sharing.